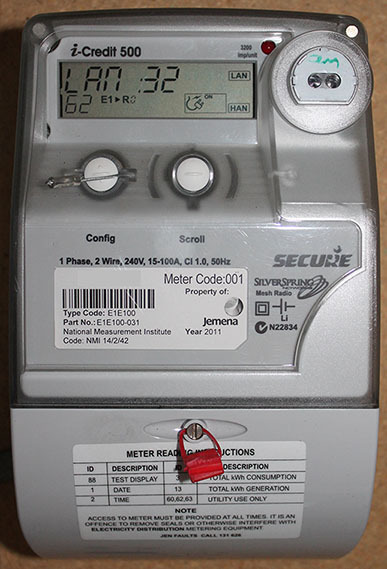 Just about everyone in Australia is aware of the new requirements for replacing the old spinning dial meters with a smart meter. They look pretty much like this and hide in with the circuit breakers etc. While there has been a big drama over the changeover (with some people going berserk), there have been a lot of promises about them making our lives better. Jemena however have started tackling this head on. Once you register your meter, you can then access your electricity usage details right up to the current day (in fact, it is even updated four times a day!). As the following screenshots from the Jemena Electricity Outlook shows, you get really good data (although I didn't show my usage for today, it does break it down into hourly usage blocks!). 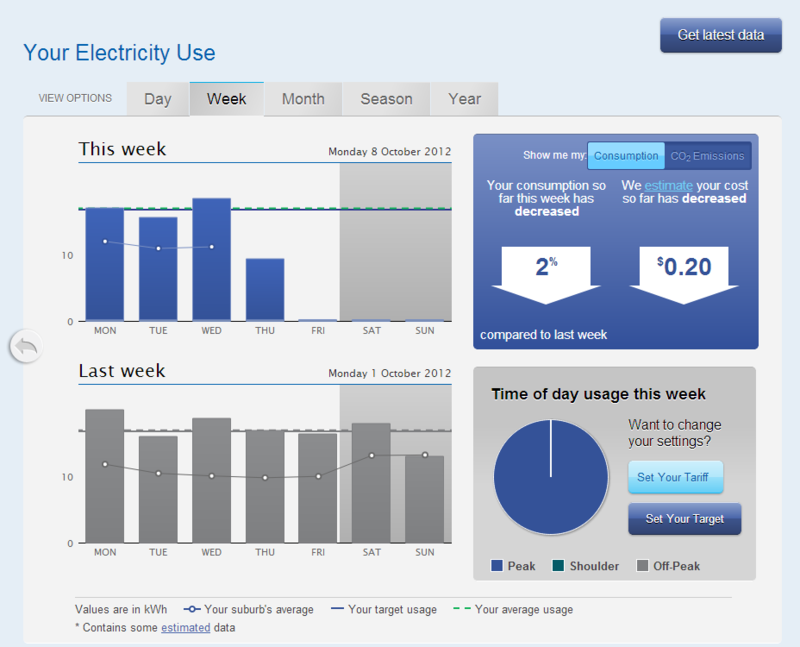 What is also nice is that if you can find the rate that your electricity retailer charges you (good luck on that! ), then you can input both the charge per kWh AND the daily supply charge to get an estimated dollar figure - which can even include off peak and on peak splits. From what I hear, if you have a solar power setup and are feeding the grid, you will even get a separate colour bar that shows you how much power you fed to the grid. While this is all fun, I managed to get my hands on a preview device that is still unconfirmed. Picture first, then words. This display (after being authorised via the Jemena Electricity Outlook) connects to your smart meter wirelessly. It is powered by a single AA battery and shows up to the minute as well as trend data for your electricity usage. From my experiments, it looks as though this is updated every 30 seconds. Interestingly, there is a lot of functionality in this display that is not yet implemented (fingers crossed it does!) 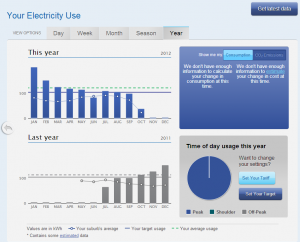 such as $/hr for your electricity usage, targets for usage as well as trend monitoring. As you can see, it doesn't look as though the outlook portal currently communicates your target levels etc to the display, nor does it transfer the tariff you set within the portal to the meter - so at this stage it won't show anything in the $/hr section. Where does this lead us? Who knows. These devices are only just starting to be developed for use in Australia now - and as more companies get on this bandwagon, and as more people want to reduce their carbon footprint, I can see this area expanding fairly rapidly over the next few years. Until then, keep your eyes open for other wholesalers releasing the access to your usage information and use it as a basis to shop around and save yourself a considerable sum. EDIT: Oh, and the best thing about the portal? Look for the "Download your data" link. You'll get a CSV file broken down hourly of your usage since the smart meter was first installed! Go Jemena!